A rare opportunity is available to secure a prominent investment-grade Perth CBD office asset strategically positioned to connect with the city's new emerging waterfront precinct. 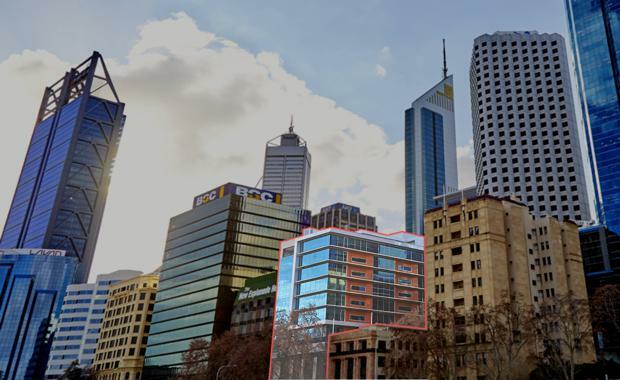 Savills has been exclusively appointed to market the 12-14 The Esplanade property via an Expressions of Interest campaign closing on 17 September 2015. The 100% freehold interest in the prime CBD property presents a unique offering in the Perth market that is set to attract strong interest from local, national and foreign investors. The 12-level tower comprises four levels of above ground parking for 138 vehicles, a ground floor tenancy and seven levels of offices, for a total lettable area of 7.957sqm. The building is 93% leased to blue-chip corporate tenants with a Weighted Average Lease Expiry (WALE) of 2.32 years and boasts a 4.5 star NABERS rating. Marketing agents Paul Craig and Chas Moore of Savills say the prime CBD positioning is enhanced by the fact the property sits among a very small group of established office towers on the doorstep on Perth's exciting new Elizabeth Quay foreshore development.